Check this out, the almighty God Mod, with more power than almost any other e-cig mods on the market. With a massive 180 watts to boast about, any self respecting vaper should get on their knees and pray to the god e-cig mods. A strong aluminium body ensures that these e-cig mods are durable and long lasting, so that when you are vaping you can feel safe in the knowledge that the mod will be powerful for a very long time. With 180 watts coursing through the body of the God Mod, the strength of vape you get will be like a religious awakening. Available in a range of four colours, silver, red, blue and black, the God Mod is suitable for all e-cig mods users. With it’s large LED digital display, the God Mod allows you to be all seeing and all knowing, when it comes to your personal vaping experience, and the output coming from your God Mod. As one of the largest e-cig mods on the market, you’ll certainly show your style, and we recommend that anyone with a preference for complete control buy this amazing product. What’s more, as the God Mod accommodates 3 x 18650 batteries, meaning the the length of power you get from these e-cig mods is much longer than others in the range. Imagine just how long you can go without charging your God Mod, with all them batteries! Along with the God Mod, with its powerful battery and 180 watts, you will also receive a smart, black case and all for only £90! This really is the holy father of e-cig mods, and if you give it a go, you be a believer forever! Why not truly upgrade your e-cig mods today and buy the almighty God Mod? It’s easy, all you have to do is order online and we’ll get it sent to you straight away. Or you can always call us in store, for more information about the God Mod e-cig mods. Spending £89.99 on any e-cig mods may at first seem ridiculous. However, if you crunch the numbers you’ll actually be saving yourself money. On average a pack of 20 cigarettes costs £7, maybe even more and if you are a 20 a day smoker, the cost of the Cloupor T5 50W e-cig mods, amounts to just a week and half worth of cigarettes. And yet this modern and stylish e-cig mods will last much longer. 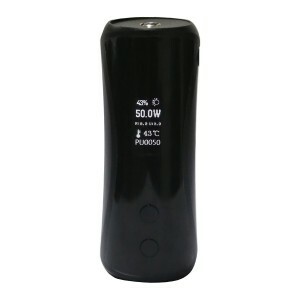 This particular range of e-cig mods is a powerful one, with a 50W power source. What’s more, the Cloupor T5 50W has an attractive LED display. With a slight bend in the column of this e-cig mods, we have found that our customers have found it to be one of the most comfortable, hand held e-cig mods of its kind. 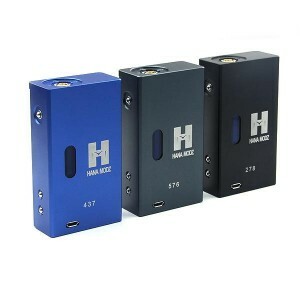 With more power, you get more personal, and for your own personal way to vape, this is one of the best on the market. The LED screen blend perfectly with the outside shell which means that until you’re actually vaping, you wouldn’t even realise what it was, it’s that discreet. And the high gloss fin ish is second to none. Making sure that all our customers gets the right e-cig mods when they move on from the starter kit is really important to us, so we always advise that you come in and try the e-cig mods out for yourself. However, there is always the option to buy your Cloupor T5 over the net, and we can ensure the highest of quality. Although if you are not 100% happy with your purchase, you can always send it back.  Why not give us a call and talk to one of our advisers today? We’re always on hand to help you out. We’re the very best e-cig mods outlet in the UK, so get in touch. For the sleekest of e-cig mods, we would recommend the DNA 30. With a style that closely resembles a phone case or even a perfume bottle, this modern and forward thinking e-cig mods is one of the most attractive in our range. Although we have hundreds of different kinds of e-cigarette styles, we find that the DNA 30 e-cig mods will make you stand out from the crowd. When moving on from a starter e-cigarette, onto a more personal vaping experience, you want to have the very best, and the DNA 30 e-cig mods are the best by far. 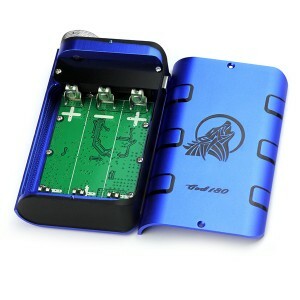 With a removable 18650 battery and micro USB charger, you’ll have full power wherever you go. What’s more, the DNA 30 e-cig mods come in three different colours, red, blue and black and a variable wattage ranging between 7W and 30W. Choosing the right e-cig mods for you is really important, and we always advise that you come and try the e-cig mods out before buying. However if you cannot come to visit us in store, you can always buy your e-cig mods over the net. If you order your vaping equipment online today, we can get them sent out to you straight away. What’s more, if you are not completely happy with the e-cig mods that we send, you are entitled to a full refund. At only £64.99 you won’t get the DNA 30 e-cig mods cheaper anywhere else. We are one of the leading distributors of advanced e-cigs in the UK so you can be sure that we will always provide you with the very best service and best procucts, why not get in touch today? Call the shop or make your order of the DNA 30 e-cig mods today. After being the biggest alternative to smoking over the past few years, vaping is now moving into a newer, better phase. When our customers come to Fresh Mist as a regular, experienced vaper, we will now advise that you begin to make your vaping more personal. Although starter kits and ready built e-cigarettes are great for newcomers to the phenomenon, we know that when you have been vaping for many months or even years, it’s time for an upgrade. It’s time for mechanical e-cig mods. Not only does the design of your e-cigarette have to be tailored to you, it is also important, that when you smoke your e-cigarette, the strength and duration of your vaping can be completely your choice. Unlike traditional and starter e-cigarettes, or personal vaporisers, mechanical mods allow the user to have much more control. Within a traditional e-cigarettes, there is a chip, which controls the heat and prevents short circuiting. This can cause accidents to happen. However, if you are an experienced vaper of e-cigarettes, you may want more control of the device you are using. 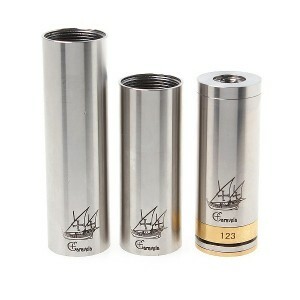 Although, it may take much more thought, if you have been vaping for a while, mechanical mods should come easier to you. What’s more, they look fantastic! 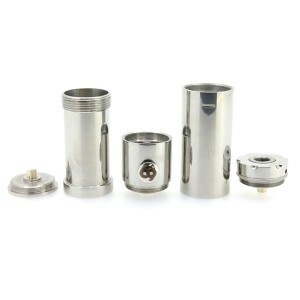 However the biggest advantage of mechanical e-cig mods is due to its lack if certain hard-wiring. As the traditional e-cigarette is all wired together, it makes it more vulnerable to breaking, however in mechanical mods, the power is straight from the battery, meaning that there is a constant stream of power. Why not have a look at Fresh Mists mechanical mods today. Start moving into the future of vaping, control your own vaping experience.